A pure freestyle soul from São Paulo, Brazil, Leandro Silva is tied down by no rules or style, instead opting to search high and low for inspiration wherever it may hide – claiming that “good music is good music, no matter the style or genre … inspiration can be found at the most unexpected of times!”. Silva’s sets incorporate house, tech house and techno with undercurrents heavy in bass and percussion, giving a huge nod to tribal and afro. This creates a unique groove that enchants everybody to get moving – it’s contagious! Joining the world of electronic music at the ripe age of 16, Leandro’s passion for the sound has never waned, growing hotter with every gig. After hitting our shores, Leandro placed highly in Geisha’s DJ competition, earning him a regular gig for PILOT. Inspiration continues to bless Leandro in the form of many many artist, such as D-nox and Beckers, Oliver Giacomotto and Hernán Cattáneo. 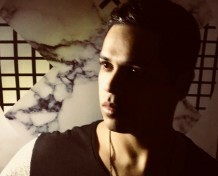 Wide though his influences may be, Leandro keeps a sleek approach from minimal to progressive techno, allowing many opportunities to adapt to the whims of the crowd.